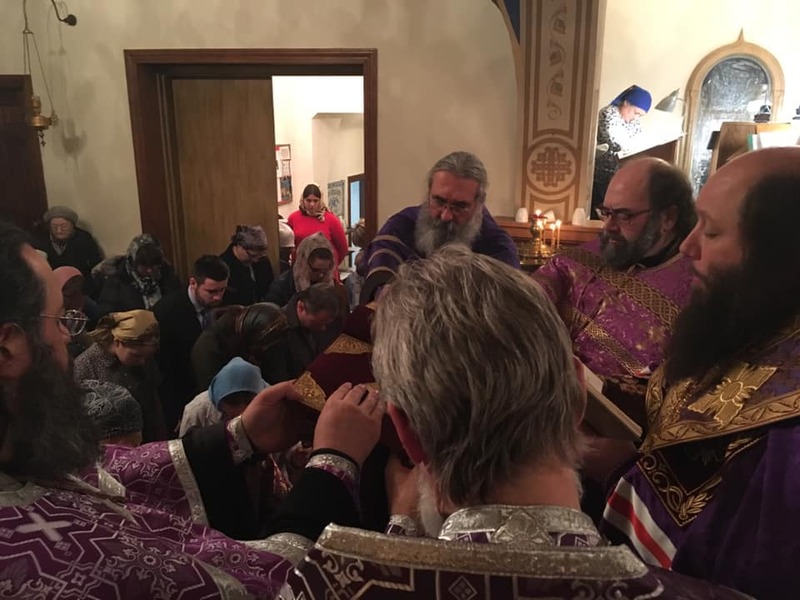 On Friday the 22nd and Saturday the 23rd of March, Eastern American Diocesan vicar Bishop Nicholas of Manhattan paid an archpastoral visit to St. Panteleimon Church in Hartford, CT, where he led the divine services. On Friday evening, His Grace led the Sacrament of Holy Unction, co-served by Archpriest Dionisy Nalitov (parish rector), Archpriest Brendan Crowley (rector of St. Nicholas Church in Enfield, CT), Archpriest Constantine Semyanko (rector of Holy Presentation Church in Stratford, CT), Priest George Temidis (rector of Nativity of the Mother of God Church at the New Kursk Root Hermitage in Mahopac, NY), Deacon Alexey Pnev (cleric of the New Kursk Root Hermitage), and Deacon Eugene Utnyukhin (parish cleric). 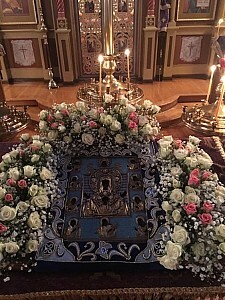 The service was held under the aegis of the Protectress of the Russian Diaspora – the Kursk Root Icon of the Mother of God. Upon completion of the Sacrament, Bishop Nicholas greeted Fr. Dionisy, thanking him for his invitation to lead the service, and thanked all of the clergy for their joint prayers. 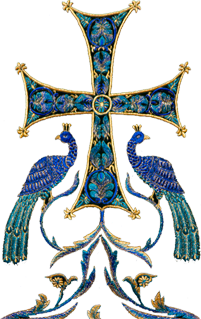 The following morning, His Grace celebrated Divine Liturgy for the first Saturday of the Departed in Great Lent. Joining the above-mentioned clergy (with the exception of Fr. George Temidis and Fr. 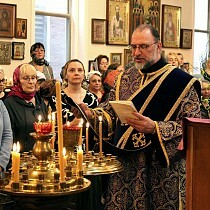 Alexey Pnev) was Protodeacon Vadim Gan (cleric of the Synodal Cathedral of the Sign in New York City). Brooklyn, NY: Eastern American Diocese greets Myrrh-Streaming Icon of the Mother of God "Softener of Evil Hearts"